BELIZE CITY, Thurs. Apr. 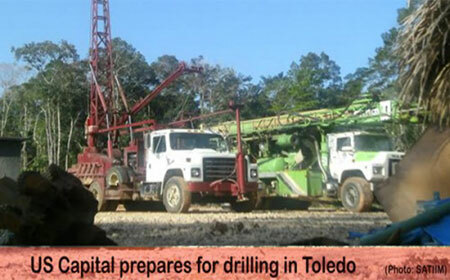 16, 2015–For about a year, US Capital Energy has been exploring for crude oil in the Sarstoon Temash National Park in Toledo, southern Belize, but today the company will be sending back the coiled tubing equipment it had imported from the US some weeks ago to do further probing at its first well site inside the national park.